• I invite you all to share in the greatest moment of my life. 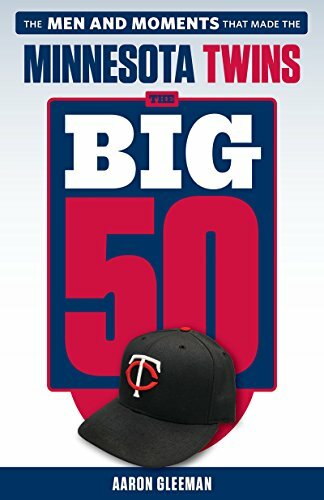 • Uh oh, now Joe Mauer is joining Chris Kluwe in speaking out about social issues. • Sid Hartman is having an estate sale this weekend to "sell clothes such as suits, shirts, pants, and shoes." I desperately want a Hartman-owned cardigan sweater, so I'm thinking about going. • Maggie LaMaack ranked the "Top 20 Twin Cities Twitterers" for City Pages, so I decided to do my own local Twitter power rankings. It's controversial and has ruined some friendships. • For anyone not obsessed with Twitter but curious about those of us who are, this is a handy little guide to some of the silliness. • I was correctly pegged as being from St. Paul by the New York Times' dialect quiz. • I wrote a super personal thing about my life during the past year. • Parker Hageman's collection of the 10 best Twins moments of 2013 is really fun. • I'm thinking about trying to rig the Minneapolis Star Tribune's "crush contest" so I can win it. UPDATE: I asked Twitter to help me, so someone submitted me to the contest and I've already been approved. Based on the photo and quotes, it's honestly hard to imagine me not winning. • "Gleeman and The Geek" just surpassed one million total listeners, which is so far beyond the scope of anything we ever imagined. Thank you. 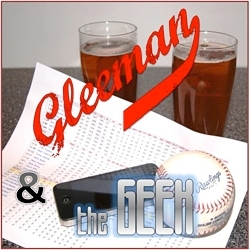 • On this week's "Gleeman and The Geek" episode I talked about drugs, got someone to disrobe in public, and bought drinks for a table of women at Town Hall Lanes. On a related note, I cannot believe they went on a vacation without me and Dana Wessel. • This is why I'll take Rihanna over Beyonce all day. • Not even Alicia Keys could save BlackBerry. • As the comedic genius known as Ampersandria brilliantly shows, for women life on Tinder is a lot like an Alanis Morissette song. • As someone deathly afraid of weddings, I thought this Talia Wischmann article was interesting. • Bone Thugs-N-Harmony are coming to St. Paul next month. I saw them in concert 18 years ago. • I'm completely sick of everything Hall of Fame related, but Frank Thomas is my favorite player of all time and his first-ballot induction makes me happy. Big Hurt, in his twenties: .330/.452/.600 in 1,076 games. Such a bad motherf-er. • James Avery, who played Uncle Phil on "The Fresh Prince of Bel-Air" and voiced Shredder on "Teenage Mutant Ninja Turtles," died at age 65. He had a big role in any decent 90s childhood. • Oh nothing, just a junior high school Trevor Plouffe in a Wu Wear shirt. Frank Sinatra, holding a glass of bourbon in one hand and a cigarette in the other, stood in a dark corner of the bar between two attractive but fading blondes who sat waiting for him to say something. And then there are like 10,000 more words of greatness. • At my house party a couple weeks ago "The Sportive" podcast crew recorded a star-studded, filthy, trainwreck of an episode in my basement. Literally one minute into the episode they accuse me of having killed multiple women in my basement. And then it goes downhill from there. • Louis C.K. was the first guest on the new season of "Comedians In Cars Getting Coffee" with Jerry Seinfeld. They went boating and he explained getting high at the movies. I loved it. • Being a huge Howard Stern fan also means I'm a huge Artie Lange fan, and his interview with Marc Maron was especially fantastic for anyone interested in addiction and recovery. • Comedy Central posted the first episode of its new show "Broad City" online and it's really funny. • Netflix added director commentaries to "House Of Cards" episodes, so I can fulfill my dream of hearing David Fincher talk about Kate Mara. • Two really good movies recently added to Netflix instant: "Drinking Buddies" and "Amelie." • Paparazzi caught me mid-brunch. • Important interview with one of the all-time greats. • An early heads-up: We'll be recording the February 8 episode of "Gleeman and The Geek" at Sociable Cider Werks in Minneapolis. Details here. - "I need to lose 150 pounds"
- "Calling up an old ex and catching up"
This week's blog content is sponsored by Sports Kingdom, which features a talk show that goes live weekdays at 5:30 pm EST. Please support them for supporting AG.com.